G-MOozy brings together the incredibly potent and high yielding GMO cut and the award-winning classic cultivar A-Dub to deliver an impeccable genetic cross that will coat your pallet with mouthwatering terpenes and give you the strong creative yet relaxing effect you’ve been searching for. GMO, also known as Garlic Cookies has become one of the most talked about and coveted cultivars of the past few years. This is a cross of Chem D to Girl Scout Cookies that was bred and pheno-hunted by Skunkmasterflex. 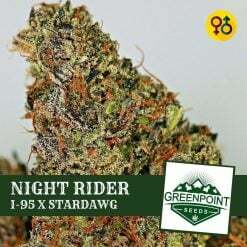 These genetics deliver incredibly high yields of insanely potent and stinky flowers. Garlic Cookies is a name that was given to this phenotype because of its extremely intense foul yet inviting smell. 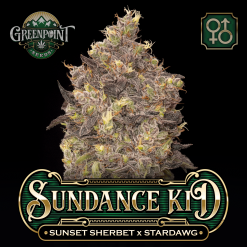 If you enjoy the nose on Chem cultivars, this will likely become your instant favorite. The aroma gives off a musky halitosis stench that will grab your nose and also your pallet as you enjoy a very similar flavor of Chem and garlic. The effects are just as strong as the nose. This cut will instantly have your attention with its powerful couch locking force. A-Dub has been ranked repeatedly on High Times Strongest Strains on Earth list and consistently testing well over 25% THC. 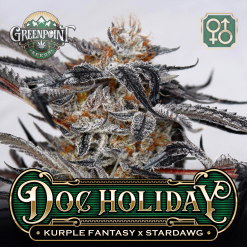 This cross of Sour Dubble and Alien Dawg delivers an incredibly potent cultivar that is desired by aficionados everywhere. A-Dub provokes uniquely pungent aromas of earth, black pepper, sweet citrus, and floral notes. Like GMO, A-Dub has a flavor that is very much like the aroma. From musky and spicy to tropical fuel, A-Dubs flavor can add a new dynamic to the GMO in the G-MOozy cross. 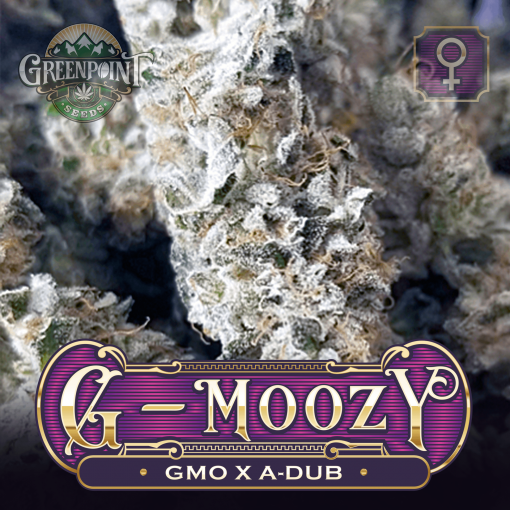 You can expect G-MOozy phenotypes to give you an immediate, energized cerebral effect that will let your mind wander and your creativity flow freely. You will enjoy the warm euphoric effects as your body becomes relaxed and you slip away into your thoughts. 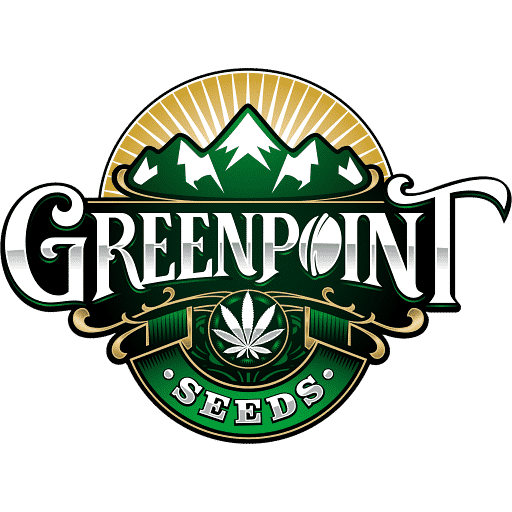 Be cautious if you are prone to paranoia as the combination of these two cultivars can deliver a genuinely intense and potent effect. G-MOozy is an excellent cultivar for anyone hoping to treat chronic pain, depression, stress, appetite loss, and nausea. Bringing together these two elite cultivars will produce some insane new phenotypes and hopefully cut down on the long flowering time that the GMO cut alone usually needs to finish. 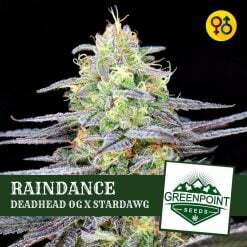 This is an excellent cultivar for intermediate growers. It is likely to stretch quite a bit, so we recommend a trellis net for optimal cultivation. Don’t miss out on the exclusive drop of G-MOozy.